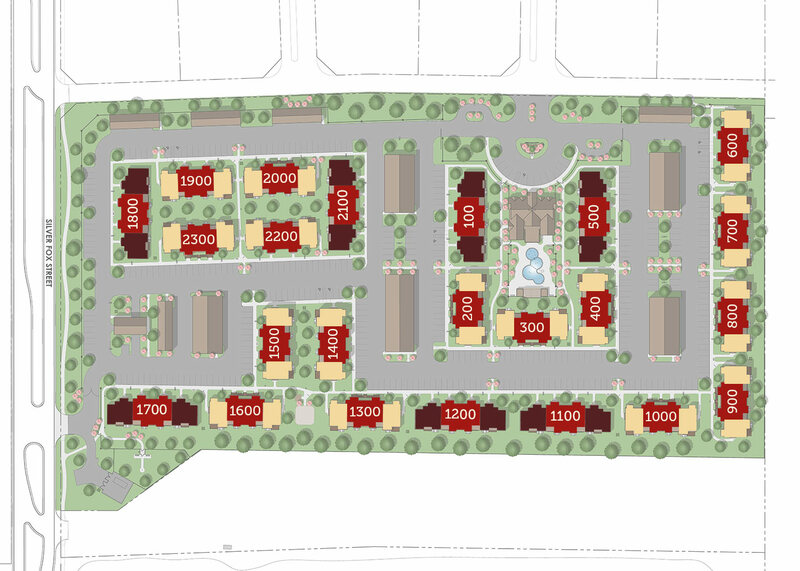 View the below complex map for SunStone Apartment Homes at Fox Ridge. If there are available apartment homes, the building number will be listed below the map. Please note that our availability is updated weekly and will not always list the most up-to-date offered units. Our team will be happy to review the most up-to-date information with you when you are ready to make your selections. Click the arrows below to view availability.